There are several different reverse mortgage programs. Fannie Mae Home Keeper®, Jumbo Cash-Out loan, and the HUD-insured Home Equity Conversion Mortgage (HECM) are three such programs. As demand increases, more reverse mortgage programs from different organizations will become available. As the homeowner receives monthly cash income, the loan balance increases. In the following twelve-month example, the homeowner begins with a debt-free home. As money is received by the homeowner, the mortgage grows. By the end of month twelve, the homeowner owes the bank $6,000 plus $232.44 interest. 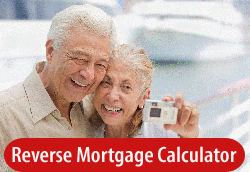 Reverse Mortgage loans have a variable rate and a fixed rate option. Critical counseling is imperative here by an expert. Please use the form below and I will contact you with information on your eligibility and strategies on how best to make this work for your needs. There is no obligation and my counseling on this is FREE of CHARGE to you!